Summer was non-stop crazy, and I always look forward to the slow-down that comes with Autumn. It has been nice to find a little time this past week to be creative. It is a welcome distraction from some of the things that have been occupying my mind and life lately. I’m still busy enough that I haven’t been able to accomplish all that I’d like to with this Copic marker class, but I hope to catch up in my practice time soon. 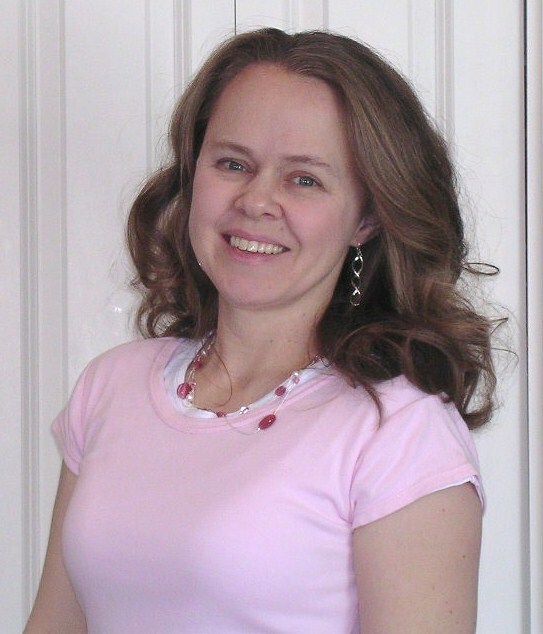 For the time being, I have one more card to share that displays one of my practice images. This card reminds me of Pepto Bismol, with all this pink and red. 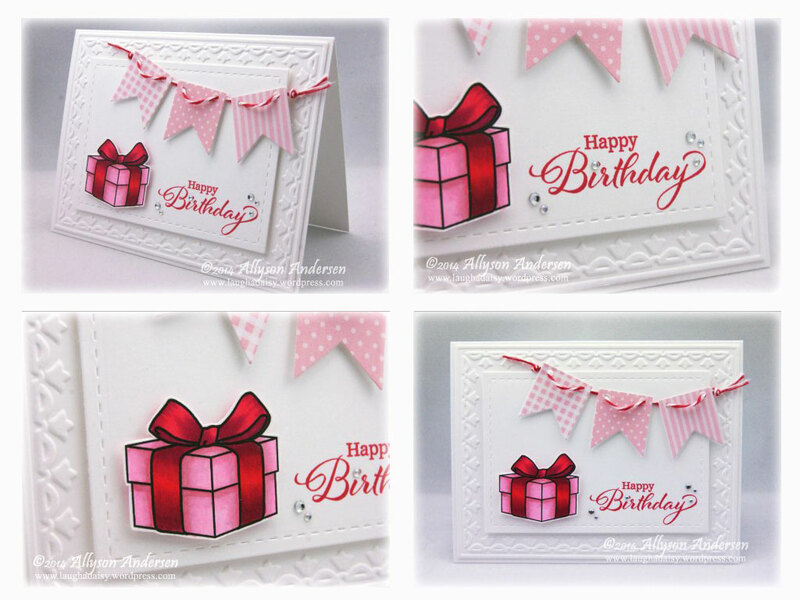 But after spending way too much time considering other layouts and color combinations, I finally ran out of time and just quickly finished it off with my ‘easy way out’ combo – white, embossing folder, and gems. I think this will be a good card for my Princess M on her birthday next month. Welcome to today’s Fusion Card Challenge! I am always delighted by what you all create for these challenges. Always lots of inspiration in the Fusion Gallery! 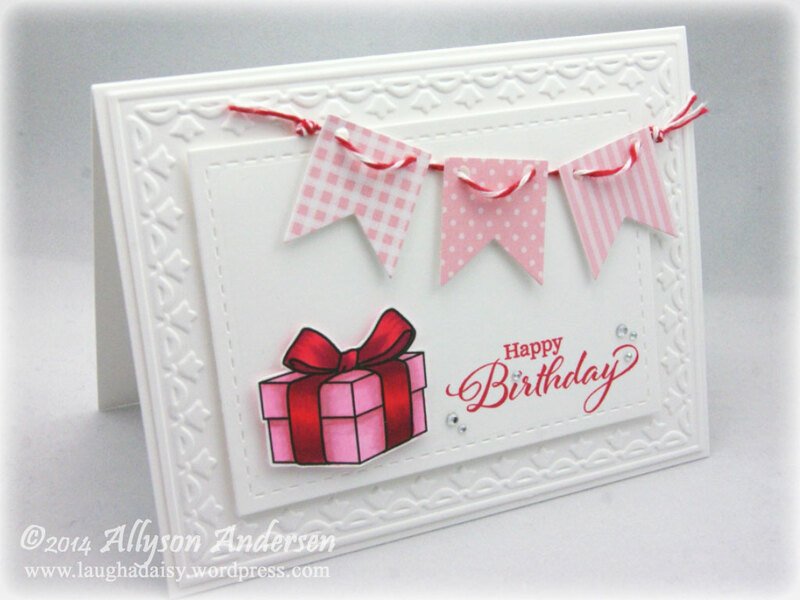 I used the thick watercolor paper for this card – the base, the mat layer, and the focal panel – so that I could use my watercolor pencils for the aqua background and still have it all coordinate. 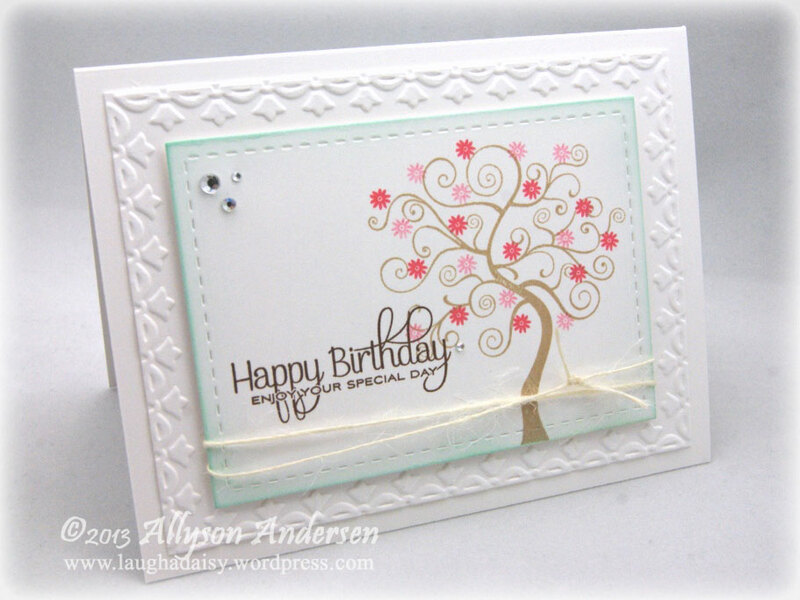 I think this Tulips Border embossing folder makes for a really pretty, clean-and-simple card, so I broke it out again! I used my new Chloe Stem die to cut the flower from red glittered cardstock. 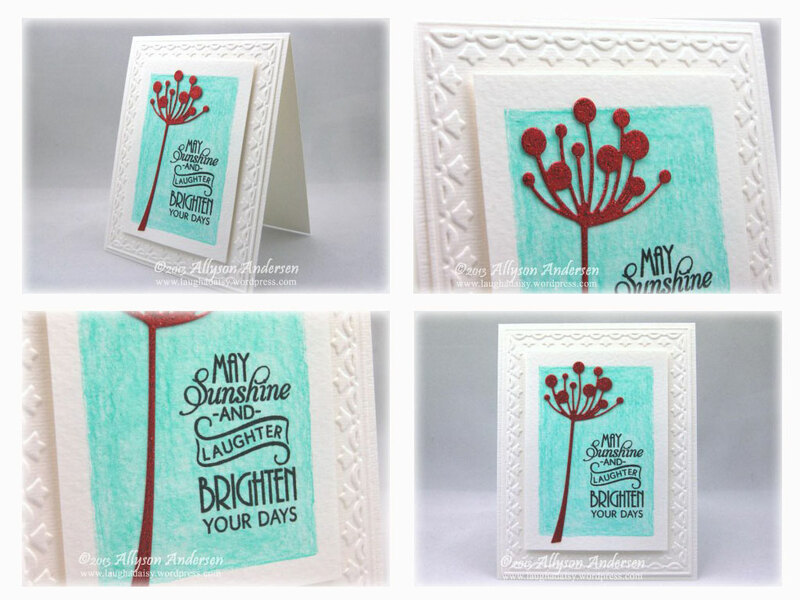 The lovely, encouraging sentiment comes from Verve’s Brighter Days stamp set. 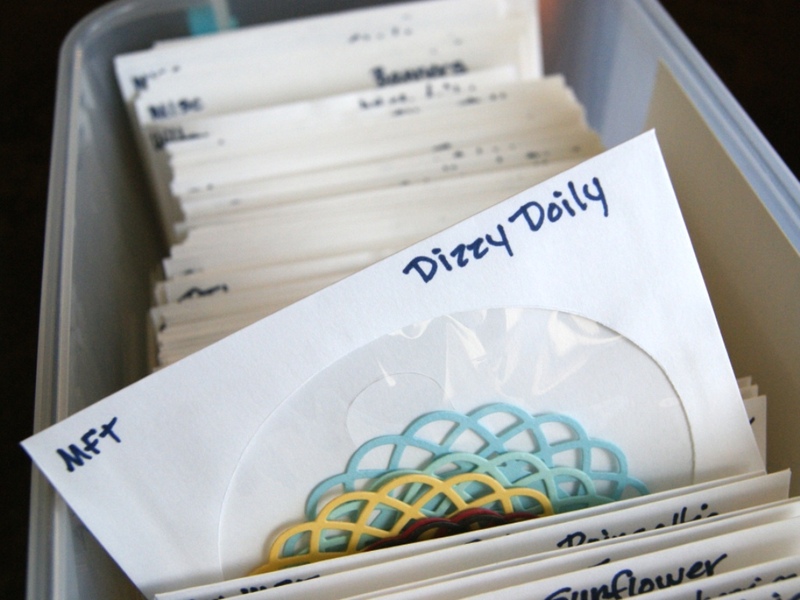 As you can see, my crafting schedule still dictates simplicity. 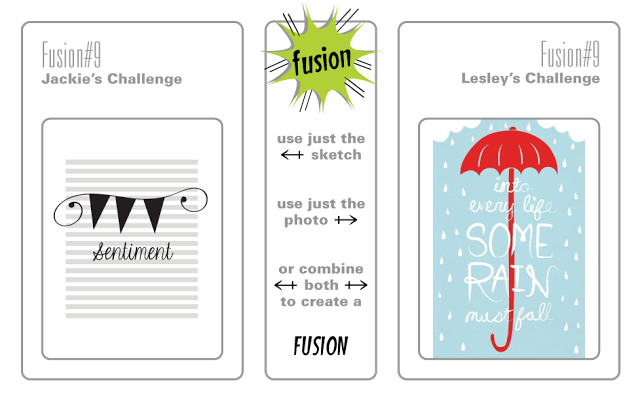 Please stop by to see what the rest of the Fusion Design Team have created and to see the details for this challenge. I hope you’ll participate with us! I’m not sure this challenge is for me. 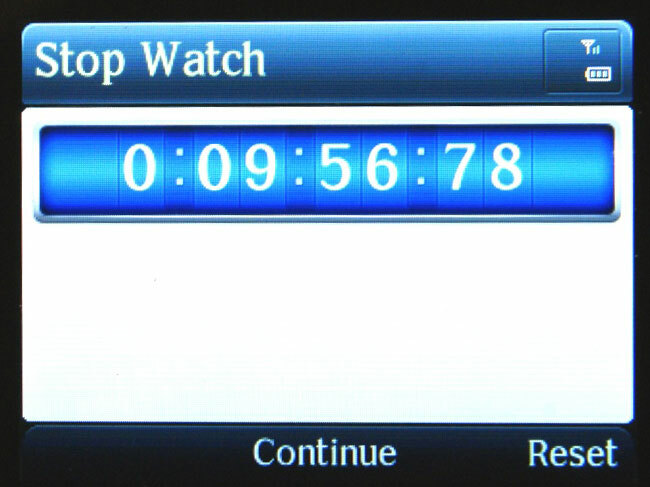 Or it could just be that I chose to do my project during the lunch hour. With 3 children around. Who are hungry and eating lunch. And who keep needing refills on their drinks. Maybe I just wasn’t prepared enough. Maybe I should have eaten all my lunch first. Whatever the reasons (all of the above, no doubt! 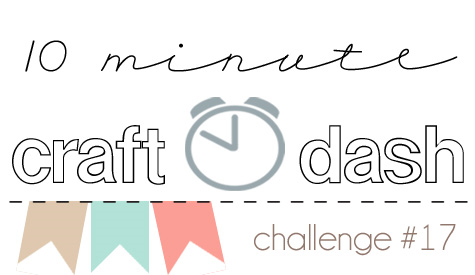 ), this 10-Minute Craft Dash challenge really made my adrenaline go crazy! Thank goodness this Tulip Border folder makes for a quick decorative background frame! That quickity-quick Vagabond machine really came in handy for this card, too. I used one of my Lil’ Inker Stitched Mats Rectangle dies for the focal panel, sponging the edges with some Aqua Mist ink. 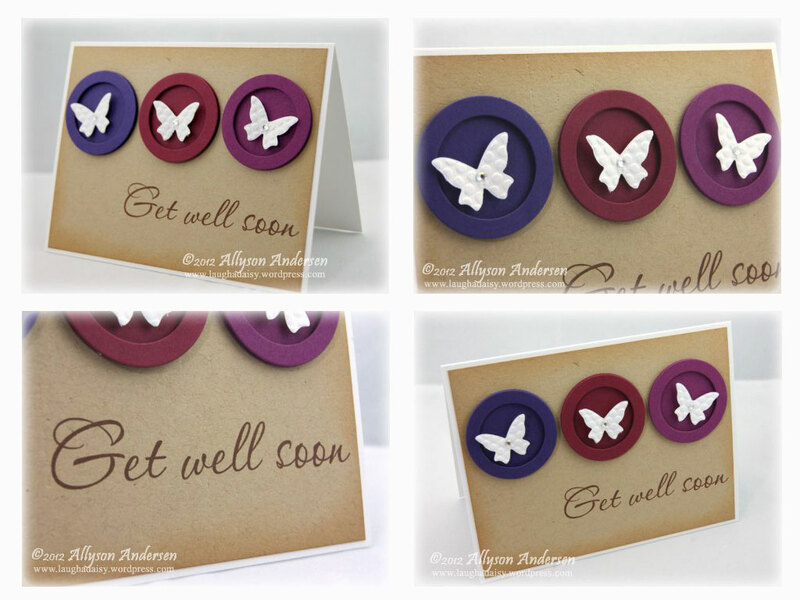 Used images from the Tremendous stamp set and a sentiment from the Beautiful Butterflies stamp set. 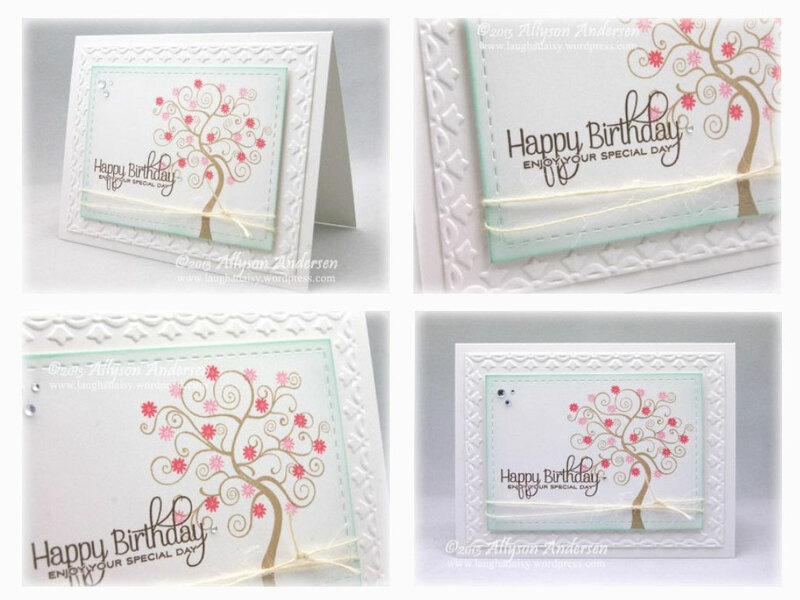 I stamped the dark flowers using Berry Sorbet ink and then ‘stamped-off’ to create the lighter-colored flowers. The colors for this week’s Dynamic Duos challenge are Tempting Turquoise and Basic Black, with an optional ‘clouds’ theme. 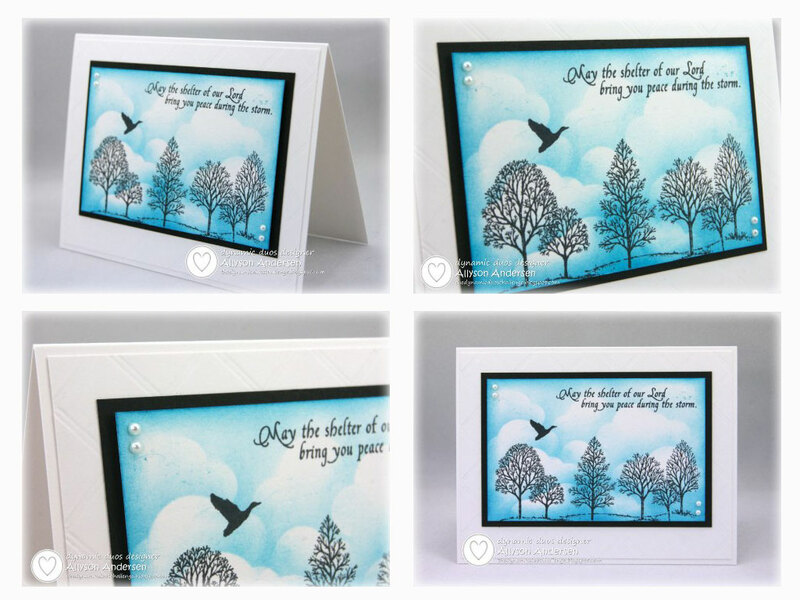 I used an MFT Jumbo Cloud Stax die and two Memory Box Puffy Clouds dies as masks in sponging the Tempting Turquoise background. It was my first attempt at this kind of sky/cloud-scene sponging, and I don’t think it turned out too badly. I don’t really think of Tempting Turquoise as a sympathy card kind of color, but I thought it worked okay here, in the end. 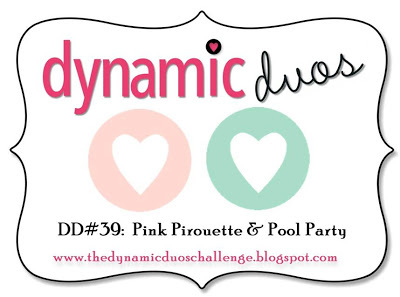 Today’s Dynamic Duos colors are Pink Pirouette and Pool Party. 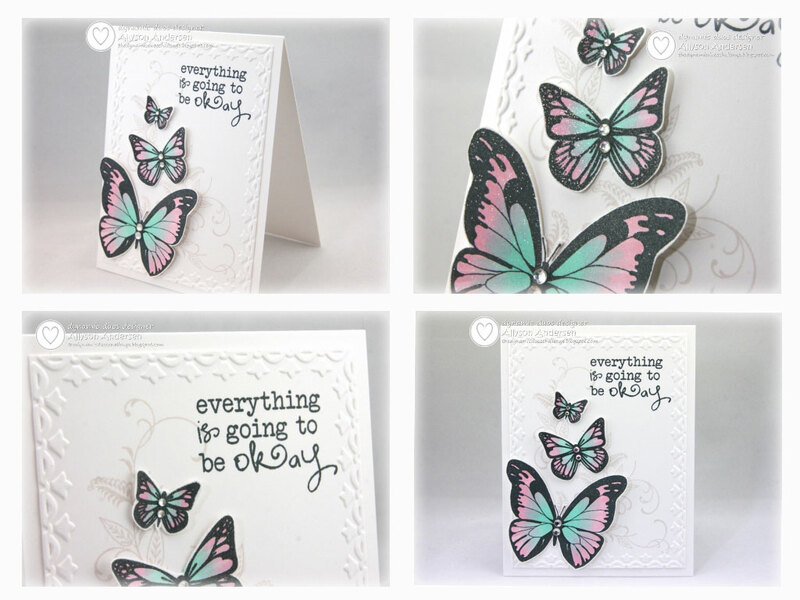 I made my card a week or so ago, when I was feeling a bit overwhelmed by life, and I just sort of gravitated towards my Be Okay Plain Jane by Verve. I created the butterflies (MFT’s Inspired By Butterflies) a while ago, practicing some blending techniques with my Copic markers. They are spritzed with a bit of sparkle mist. I think I’ve used this sentiment only once before, so that is the neglected supply on this card. Make sure you stop in to see what the rest of the Dynamos have created and to check out the details for the challenge. I hope you will participate with us! The answer is, yes. I am still avoiding my Christmas projects. But here is a card for the Play Date Cafe #157 challenge! 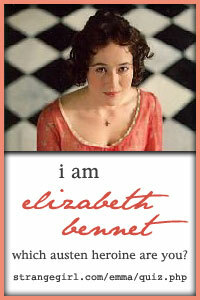 I thought I would do something flowery and beautiful in response to the absolutely gorgeous inspiration photo story. 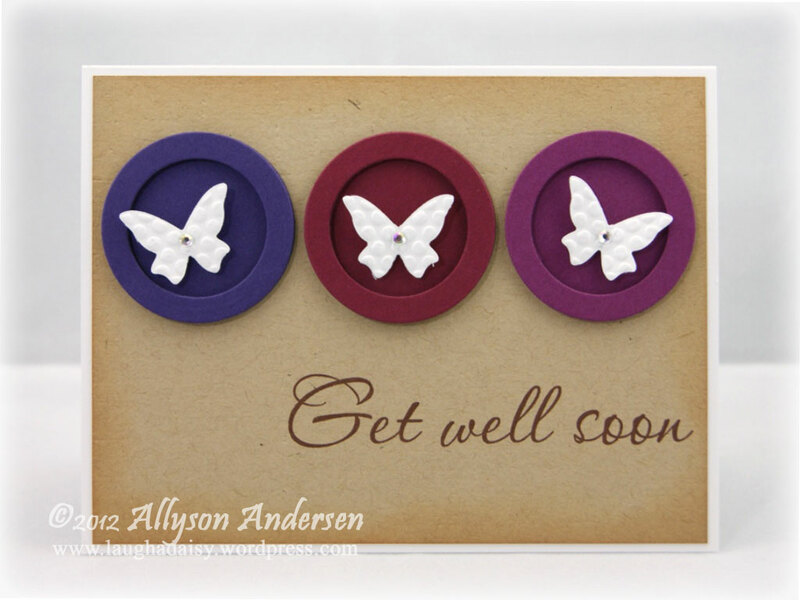 But I’ve been doing flowers so much lately, I went with circles and butterflies instead. From left to right, the colors are Elegant Eggplant, Scarlet Jewel, Rich Razzleberry. I meant to tie a little bit of twine across the card below the sentiment. But I glued down the Kraft panel before my brain even had a chance to respond. Although, I did remember to run the panel through my Big Shot with the Linen Impression Plate first. Because I can be totally random, like that. I kept getting the circle proportions wrong, so I have three leftover sets of circles like these, in three different sizes. I’m sure my oversized pile of misfit scraps will welcome them with open arms! Is it weird that from that fabulously beautiful inspiration photo, my inspiration was the little color reference dots at the bottom? Hmmm. 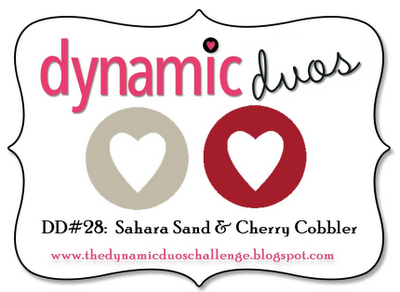 Challenge #28 is a “Subtly Yours” combo, and the colors are Sahara Sand and Cherry Cobbler. I purchased the Memory Box Poinsettia stamp and die a few weeks ago, and I couldn’t wait to get that image inky with my Copic markers. I hope it doesn’t just look like a big, bright red blob here! I lined the edges and dotted the center with a bit of gold glitter. 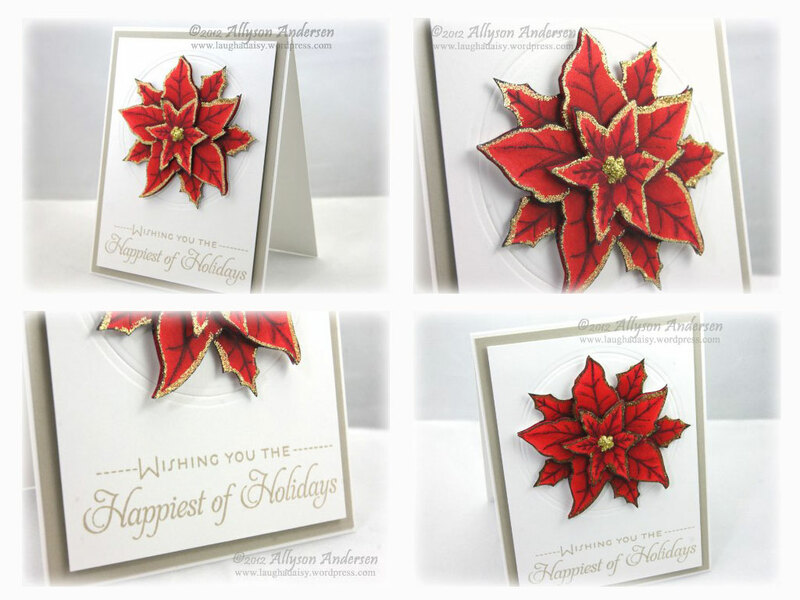 I also impressed a Spellbinders circle die into the background behind the poinsettia to give it a little bit of a frame. Well, I thought about doing it over, but remembered that this is a 2-color challenge. So I just left it. At this stage, I’m pretending that the leaves in the back are just an extension of the red bloom portion of the poinsettia. Lame, eh? Maybe you could just play along with me…? I felt pretty stupid about this one. By way of excuse, though, (LOL!) I’ve had some issues to worry about this week, and my brain has consistently wandered AWAY from crafting mode because of that. Which isn’t a great thing, because I really should be investing time into my Christmas projects! I am thinking it is going to be a long month in that regard. Make sure you stop in to see what the rest of the Dynamic Duos Dynamos have created for this challenge – they are FANTASTIC! 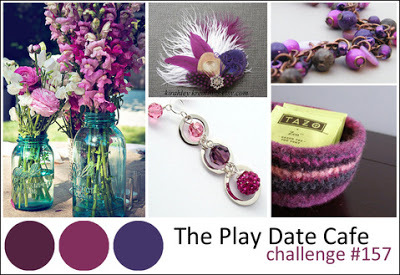 – and to check out the details for this challenge. I hope to see you participate with us!